I could just eat him up." Yowzers! So sweet that he's still got a smile. 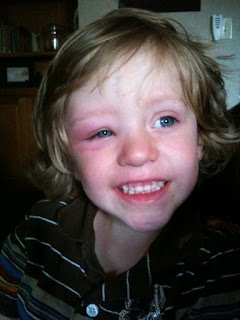 Hope the swelling has gone down....and hope you're having a fun day with all the kids home!